Good self-defense ammunition is one of the most important things you can own. Just like food and medicine, it’s an investment in your personal well-being. 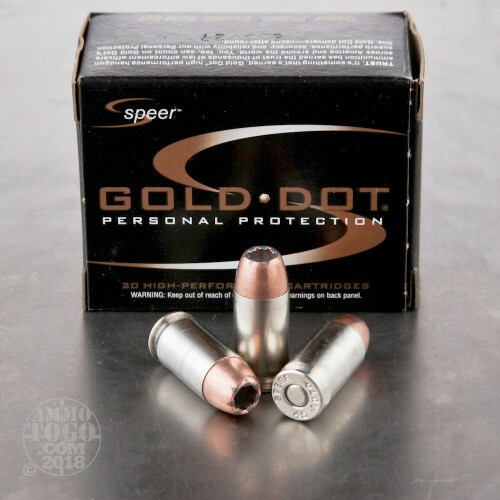 Don’t compromise when it comes to what you load in your everyday carry -- put your trust in Speer. 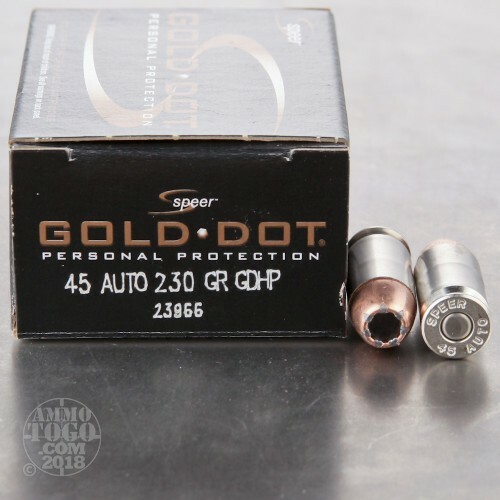 This Gold Dot cartridge features its caliber’s common 230 grain projectile, so you’re nearly certainly already familiar with how it’s going to perform. 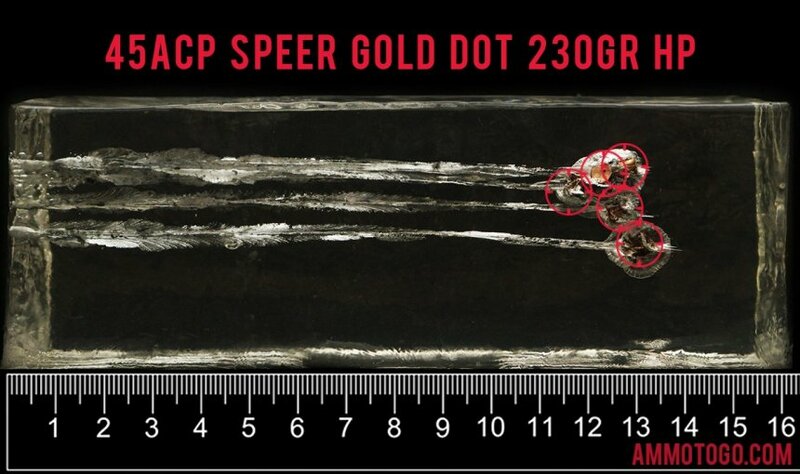 The bullet’s jacket is highly concentric, if not perfectly so, because Speer applied it to its lead alloy core electrochemically. Because its core and jacket are bonded, this bullet is essentially incapable of separation as it tunnels through a threat. 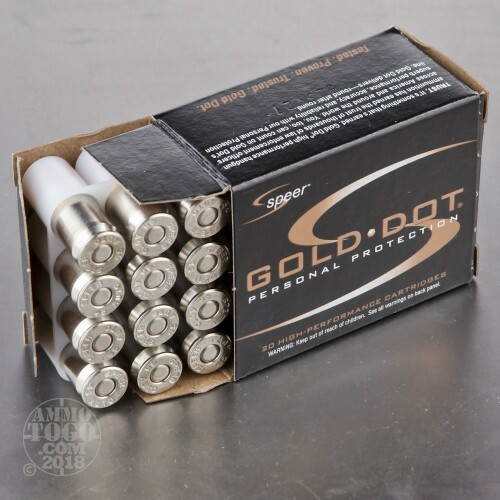 The Gold Dot bullet’s terminal performance is further improved by its hollow point nose cavity. It has been formed via a two stage process to ensure that it expands fast and reliably in order to create a debilitating wound channel. This round features a nickel plated brass casing. Nickel benefits performance in a number of ways: It reduces friction for more efficient cycling, resists tarnishing and corrosion, and is shiny to facilitate chamber checks in the dark. This round offers features CCI’s primer, which is sensitive enough to rely on in a fight, as well as clean burning propellant. How do the results for this Speer 45 ACP (Auto) compare to other Hollow Point? 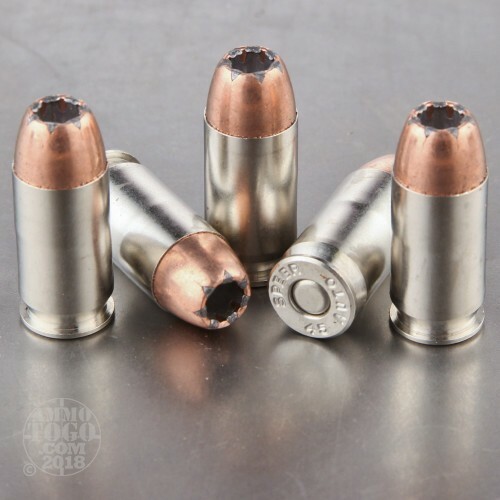 Expansion Diameter Compared to All 45 ACP (Auto) Ammo Tested MIN 0.45" MEDIAN 0.64" THIS AMMO 0.72" U.S. dime MAX 1.04"
Penetration Depth Compared to 45 ACP (Auto) Tested 0" 10" 20" 30" MIN 8.3" MEDIAN 16.7" THIS AMMO 12.6" MAX 32"